ASHEVILLE, N.C. (WTVD) -- A monument to Civil War colonel, senator, and governor Zebulon Vance was vandalized in Asheville early Tuesday morning. WLOS-TV reports "Black Lives Matter was spray-painted near the foot of the monument. The paint was quickly removed by city workers by sunrise. 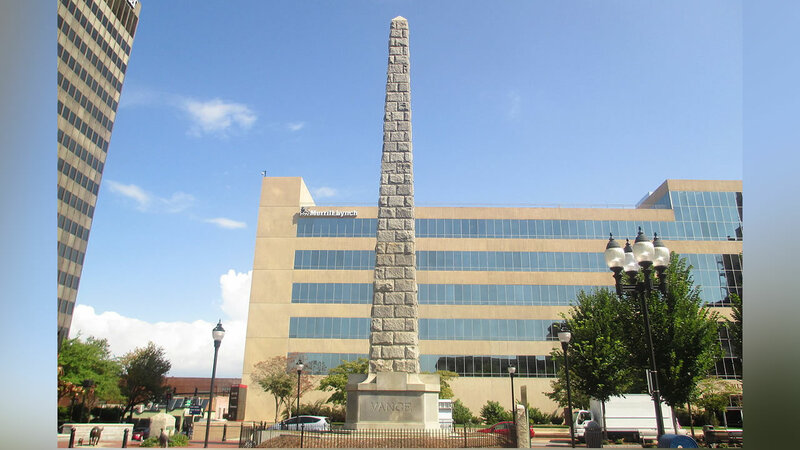 The Vance obelisk was erected in 1897 and was recently restored. When North Carolina seceded from the Union in 1861, Vance was an army captain stationed in Raleigh. He was later elected Colonel of the Twenty-sixth North Carolina regiment in the Confederate Army. He won the election to be North Carolina's Civil War governor in 1862 and was later elected as one of the state's U.S. Senators after the war. The vandalism of the monument came a day after South Carolina Gov. Nikki Haley called for the removal of the Confederate battle flag from the statehouse grounds in Columbia.